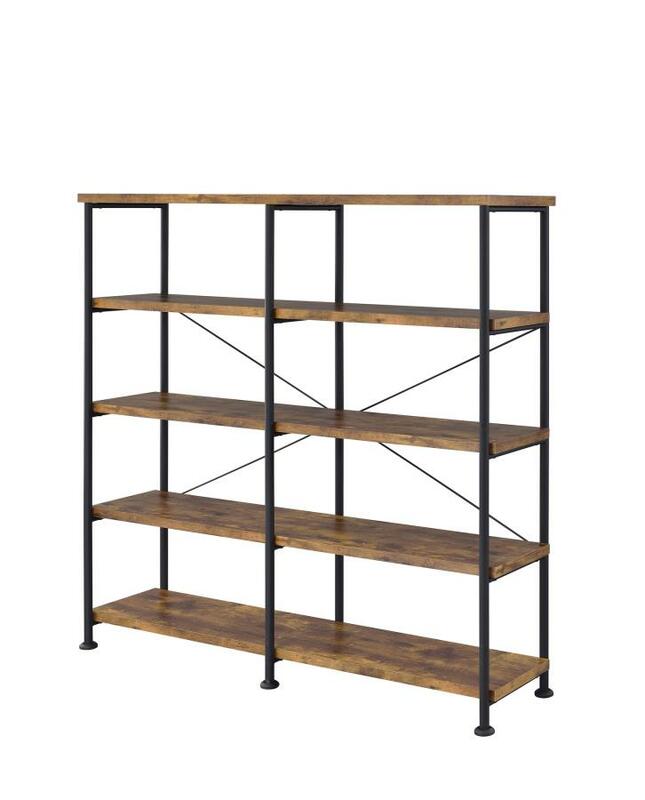 801543 Barritt Williston forge antique nutmeg finish wood with black metal frame 5 tier shelf. Shelf measures 60" x 14.25" D x 63" H. Some assembly required. Is it possible to adjust the heights of the shelves? I would want to keep the top and bottom shelves stationary, but have the option of adjusting the others. Thank you. I just love the Aztec designs on this set. I just placed my order today. I can't wait to add my accessories to this set. I was told it should be in stock the week of 06/12/2017. I hope its worth the wait.